Date and place of birth: November 2, 1962, Modena, Italy. Postgraduate training:1994: PhD in Experimental Hematology, University of Modena, School of Medicine, Modena, Italy (thesis: "Role of c-myb and fes protooncogenes in myeloid differentiation and leukemogenesis"). 1996: Postgraduate School of Biochemistry and Clinical Chemistry, University of Modena, School of Medicine, Modena, Italy. (thesis: " Study of the role of fes, Grb2 and SOS in signal transducion mechanisms during myeloid differentiation"). Fellowships: 1989: AIRC (Italian Association for Cancer Research) "Study of the mechanisms of gene expression regulation in leukemic blast cells". 1994: Italian League against cancer: "Study of apoptosis-involved genes in tumor cells". 1995: Italian League against cancer: "Study of molecular basis of differentiation block in acute leukemic blast cells". Post doctoral training: 6/1989-12/1989: Laboratory of Prof. Renato Baserga, Temple University, Philadelphia, USA, in the field of the genetic control of the cell cycle. Honors and Awards:1988-1989: "MEDICINA" "1988" and "1989" Award of The Italian Medical Encyclopedia. 1992: Lega Milanese Lotta contro i Tumori" Award. 1994: Società Italiana di Cinetica Cellulare Applicata e di Base (SICCAB) Award. Patents: 1998: International USA Patent N. 08/859.389 "Use of c-Fes specific antisense oligonucleotides and ATRA in M3 type leukemias". Academic Career: 1996-2002: Researcher in Applied Biology, University of Modena. 2002-today: Associate Professor in Applied Biology, University of Modena & Reggio Emilia. In July 2010, she resulted as eligible in a comparative evaluation for a Full Professor position (BIO/13). In September 9th, she was convened in this role by the Faculty of Biosciences and Biotechnology, University of Modena and Reggio Emilia. Book writing: She participated in the book writing of “Biology” (Ed. Piccin, Nuova Libraria S.p.A., 2008), as a author of the chapter “Stem cells”. Research Activity: 1988-today. Hemopoietic Stem Cells Laboratory, Center for Regenerative , Department of Biological Sciences,University of Modena & Reggio Emilia, Modena, Italy. 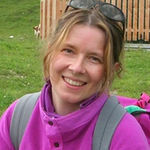 The research activity of Prof. Rossella Manfredini is documented by 65 publications in extenso and 190 meeting abstracts. 1. Gene expression regulation in normal and leukemic differentiation. 2. Role of c-myb, c-fes, and bax protooncogenes in myeloid proliferation, differentiation and apoptosis. 3. Gene expression profiling by DNA microarrays of hematopoietic stem cells, myeloid precursors and differentiated cells. 4. Functional role of CD34 antigen in human myelopoiesis. Myeloproliferative neoplasms (MPNs) are molecularly and clinically heterogeneous hematological neoplasia that include three clinical entities, namely polycythemia vera (PV), essential thrombocythemia (ET) and primary myelofibrosis (PMF). Despite being quite common disorders, there is still no effective therapy to prevent the complications associated with their course and the evolution to acute leukemia nor to prolong survival in the most clinically challenging and more rapidly fatal PMF. These therapeutic gaps are largely due to the fact that only recently recurrent molecular abnormalities have been appreciated, ie the JAK2V617F and MPLW515 mutations. However, notwithstanding these recent breaking-through discoveries, available information do not suffice to explain entirely the molecular pathogenesis of MPNs, thus slowing development of effective and hopefully curative treatments. Thus, there are urgent scientific and clinical needs that call for being met in order to improve clinical management and design innovative therapies for MPN patients. The topics of investigation we have identified as worthwhile of current investigation are represented by the search of novel somatic mutations and the elucidation of abnormalities in other key genetic checkpoints, ie epigenetic and microRNA-dependent gene expression regulation, that are associated with the origin, phenotypic determination, and clonal evolution of the disorders and might serve as diagnostic or prognostic biomarkers. To reach these objectives we have designed an advanced molecular approach that by exploiting both the immediate availability of large collection of MPN patient series and biological samples and its prospective implementation by the team, is intended to build up an integrative genetic, epigenetic, coding RNAs and microRNA portrait of the hematopoietic progenitors. All these information will have immediate application for improving and/or designing disease classification systems and for exploiting and elucidating the mechanism of action of novel drugs. Background: Chronic Myeloid Leukemia (CML) is a clonal myeloproliferative disorder that originates at the level of Hematopoietic Stem Cell (HSC) as a consequence of the t(9;22) translocation, giving rise to the Ph (Philadelphia) Chromosome and to the BCR-ABL oncoprotein. Currently, the BCR-ABL tyrosine kinase inhibitor (TKI) imatinib mesylate (Gleevec) is considered the standard therapy in CML. Despite the great success of this targeted therapy, the exposure to imatinib may not completely eliminate leukemic progenitors. The stem cells concept suggests that leukemic stem cells are intrinsically refractory to imatinib treatment and therefore they are responsible for minimal residual disease (MRD) and relapse. It is therefore important to gain further insight on the molecular and functional properties of the stem cell compartment in CML, in view of the development of more effective therapies. Up to date, a number of gene expression studies have been performed to identify the molecular signature of CML cells, however, no global molecular and functional analysis of the CML stem cell compartment have been reported. Moreover, in the last few years, many studies linked the microRNAs (miRNAs) to hematopoiesis regulation, suggesting also a possible role for miRNAs in leukemogenesis. So far, informations about the implication of miRNAs in CML pathogenesis are very limited. Understanding whether and how miRNAs could play a role in CML pathogenesis could lead to the design of new targeted therapies capable of eliminating the leukemic stem cell compartment. 1. Identification of miRNAs deregulated in CML LSCs. 2. Characterization of the role played by these miRNAs and by their targets in CML pathogenesis and disease progression. 3. Identification of regulatory mechanisms responsible for miRNAs aberrant expression in CML. Experimental design: In order to gain further insights into the role played by miRNAs in the genesis of CML, we intend to compare miRNAs expression in CML LSCs and normal HSCs. Integrative analysis of miRNA and mRNA expression data will be performed in order to carry out a more reliable miRNA target identification. This analysis will provide a more efficient criterion to identify the subset of miRNA-mRNA relationships. In order to determine the biological function and the role played during CML pathogenesis of miRNAs deregulated in LSCs, miRNA overexpression and silencing experiments will be performed. MiRNA overexpressed in LSCs will be inhibited in the same cell population to evaluate their involvement in the pathogenesis of leukemia. In the same way, miRNAs down regulated in LSCs will be inhibited in normal HSCs. Moreover, we plan to analyse the mechanisms that are responsible for miRNAs aberrant expression in CML stem cell compartment. First, the identification of BCR-ABL- independent miRNAs aberrant expression will add a new layer of complexity to CML pathogenesis and will provide new potential targets for CML therapy. Moreover, it’s been recently demonstrated that epigenetic modifications could represent a mechanism to regulate miRNAs expression. Therefore methylation analysis on promoter region of miRNAs deregulated in CML stem cells will allow us to understand whether an epigenetic mechanism is responsible for miRNAs aberrant expression, thus suggesting that treatment with chromatin modifying agents could represent a novel therapeutic strategy for CML patients. Conclusion: The integrated study of the gene expression and miRNA expression profile of CML stem cells compared to their normal counterparts represents a powerful tool to better understand the role of miRNAs aberrant expression in the pathogenesis of CML. The proposed project will allow us to identify microRNAs which expression is disrupted in CML LSCs. The characterization of deregulated miRNAs in CML LSCs will enable us to identify new regulatory mechanisms involved in CML pathogenesis that could represent new potential targets for CML therapeutics.